Attractive horizontal stripe design in blue and white. 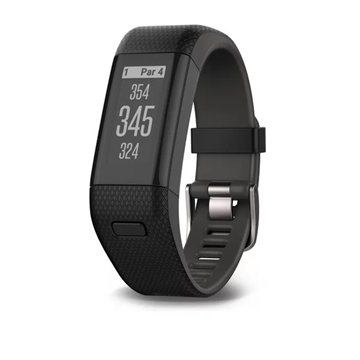 Performance, breathable fabric designed to keep you cool and dry. 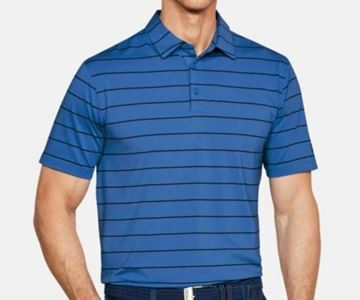 Blue fleck colour scheme polo shirt. Keeps you cool and dry, fast drying fabric that is lightweight and breathable. 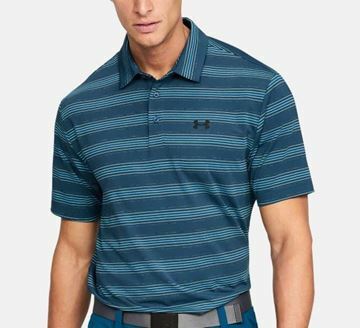 Stylish blue striped designed polo shirt from Under Armour. 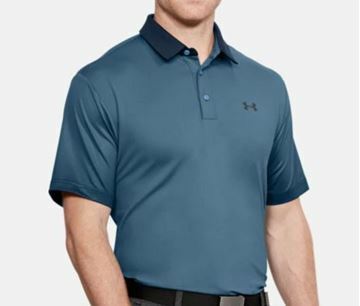 Lightweight and breathable fabric that keeps you cool and dry. Colourful and attractive looking blue and orange striped design. Performance fabric with moisture management technology designed to keep you cool and dry. 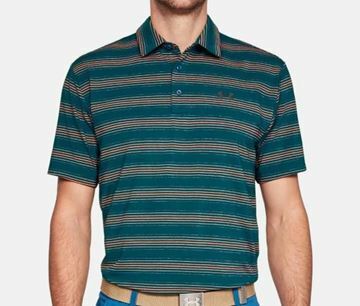 Lovely looking green striped design polo shirt. 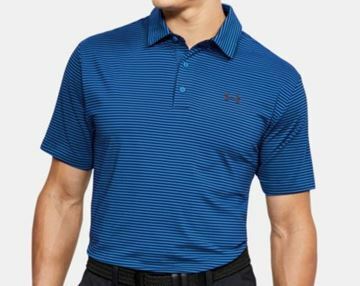 Moisture management technology fabric engineered to keep you cool and comfortable during your round of golf. Great polo shirt in light navy, lightweight and breathable with moisture management technology to keep you cool and dry. 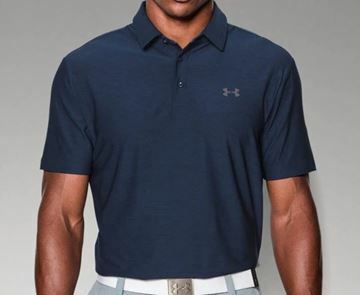 Navy polo shirt from Under Armour. 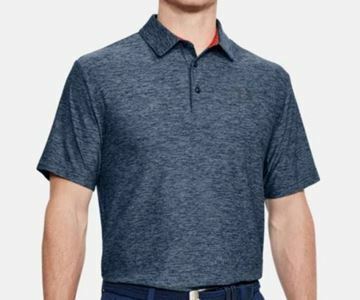 The Playoff shirt range are made from performance fabric that is lightweight and breathable with moisture management technology to keep you cool and dry. 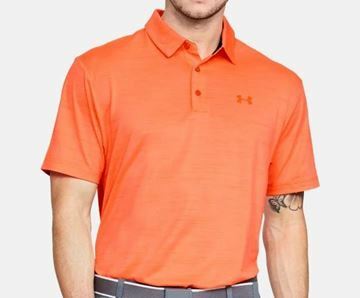 Bright orange polo shirt from Under Armour. Lightweight polyester with a loose fit. 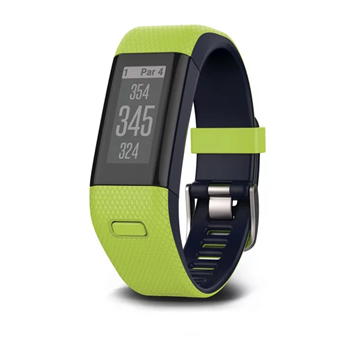 Performance material with moisture management technology to keep you cool and dry. Pale blue polo shirt that keeps you cool and dry. Quality material that is soft with anti pill and snag free properties. Under Armour in a white striped design. Made from a mix of cotton, polyester and rayon. 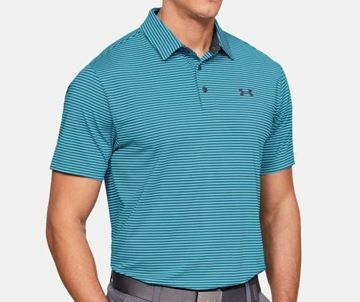 Stretch fabric that is comfortable and breathable with moisture management technology fabric.